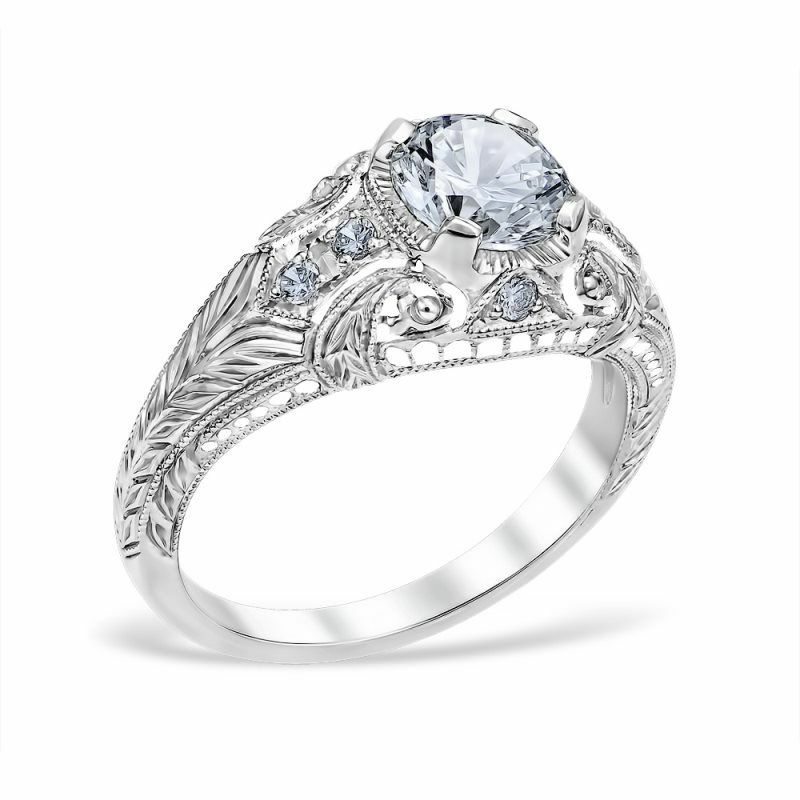 Wreathed Pear engagement ring showcasing a pierced wreath of engraved leaves to accent bead set diamond pear shape shoulders. 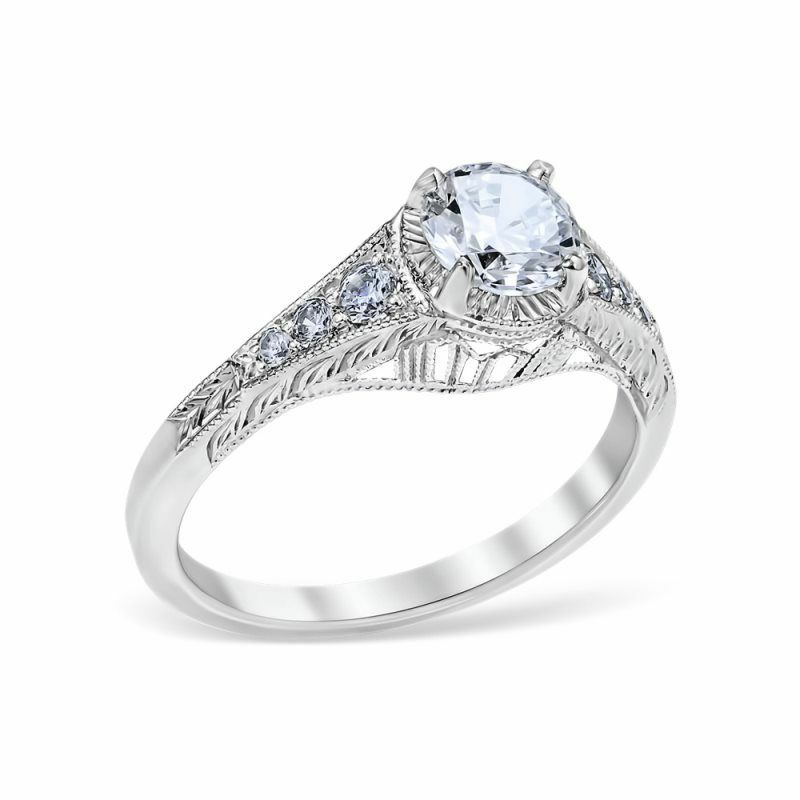 Center Diamond Carat Range: 0.75-2.00ct. 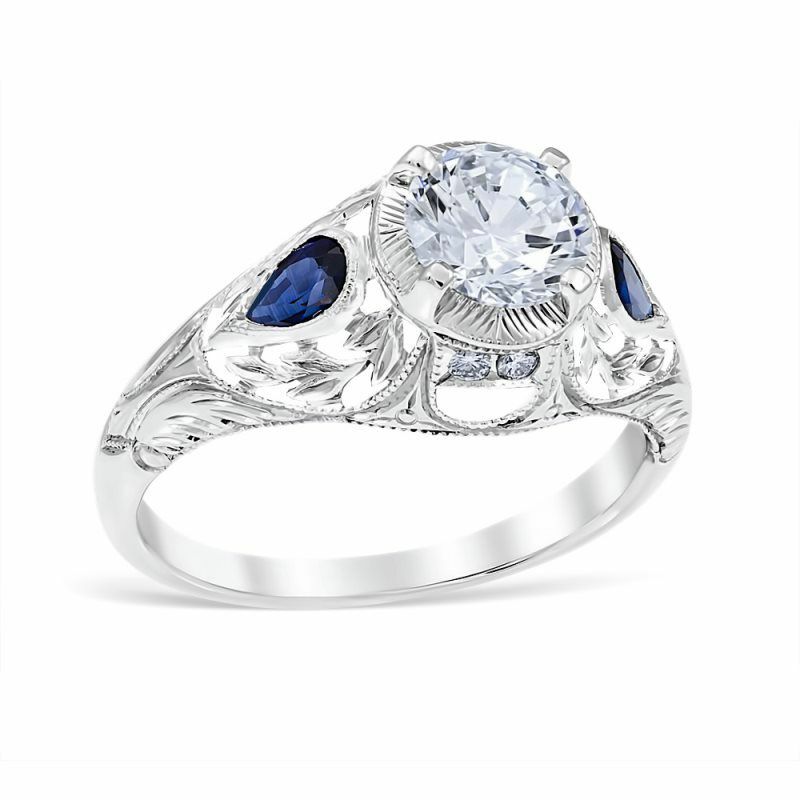 Sapphire Wreathed Pear engagement ring with sapphires showcasing a pierced wreath of engraved leaves to accent pear shape sapphire shoulders. 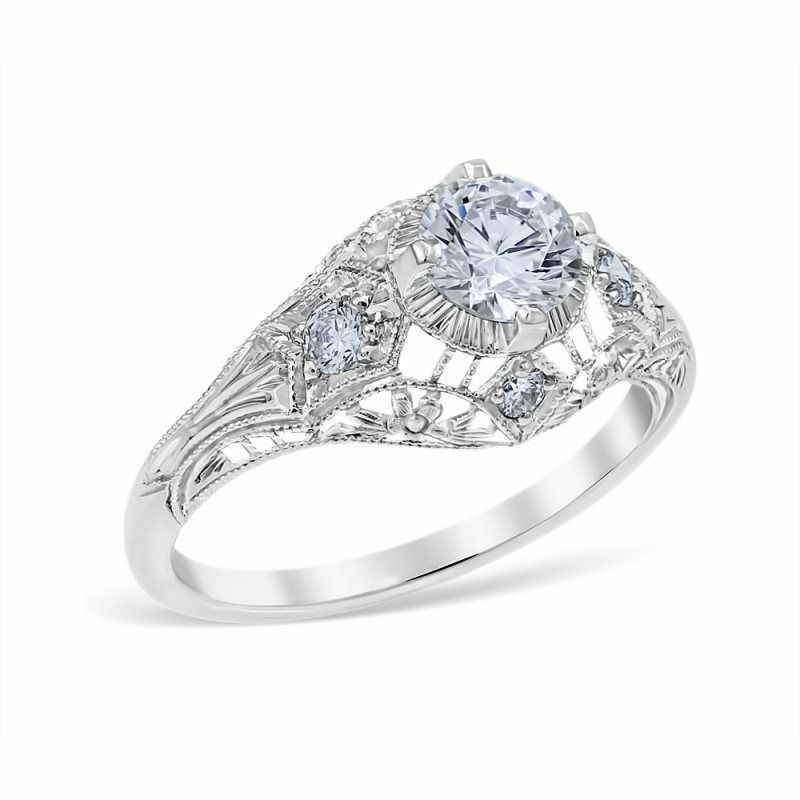 Floral Burst engagement ring featuring hand pierced flower filigree and wheat pattern engraving. 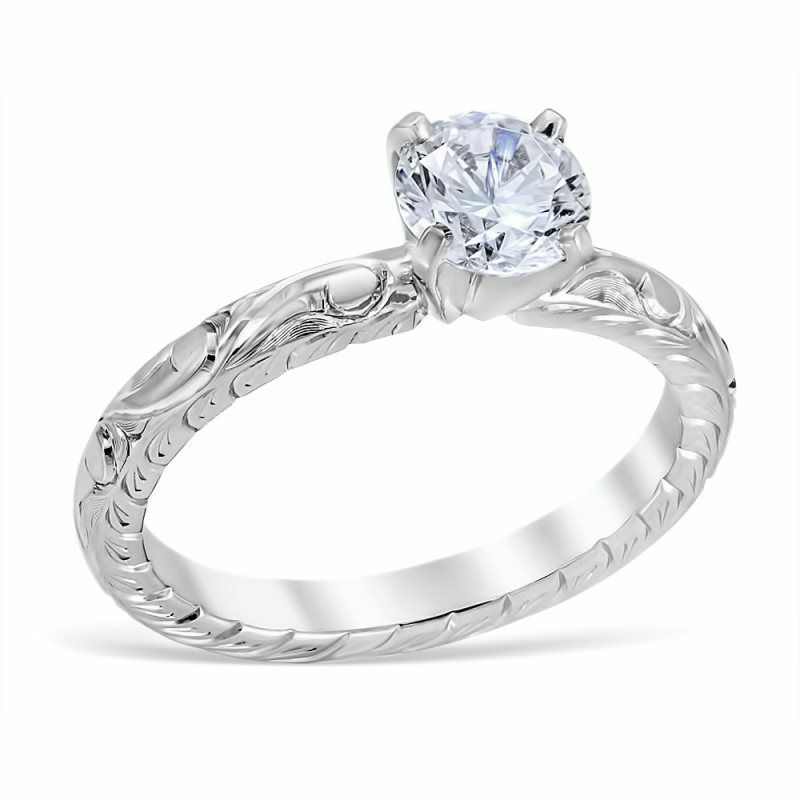 Center Diamond Carat Range: 0.25-1.25ct. 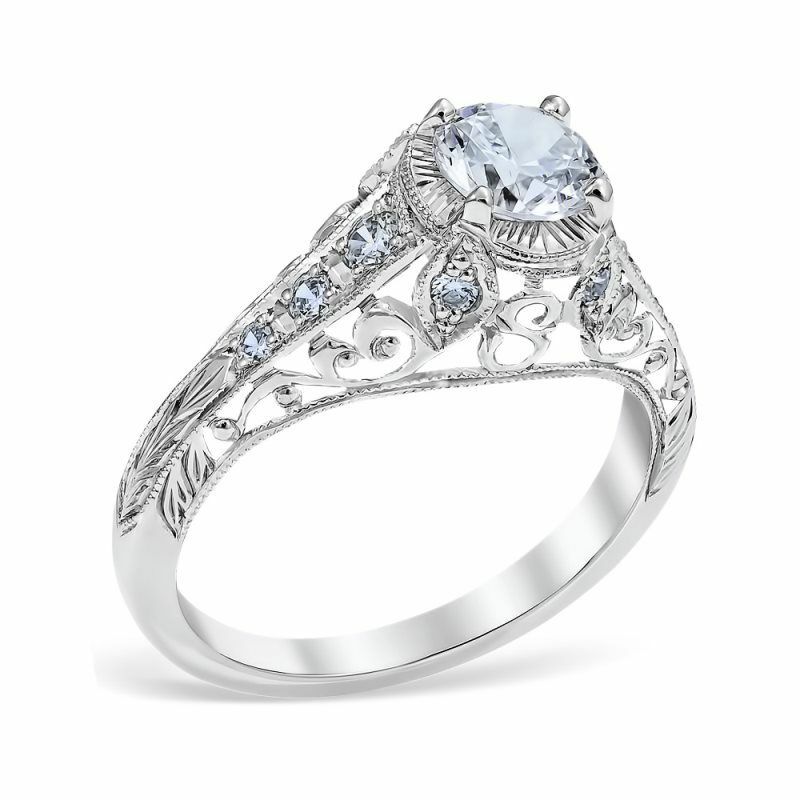 Luana engagement ring featuring 4 bead set diamonds accented by a floral burst of pierced detailing and delicate vertical bars surrounding the center diamond. 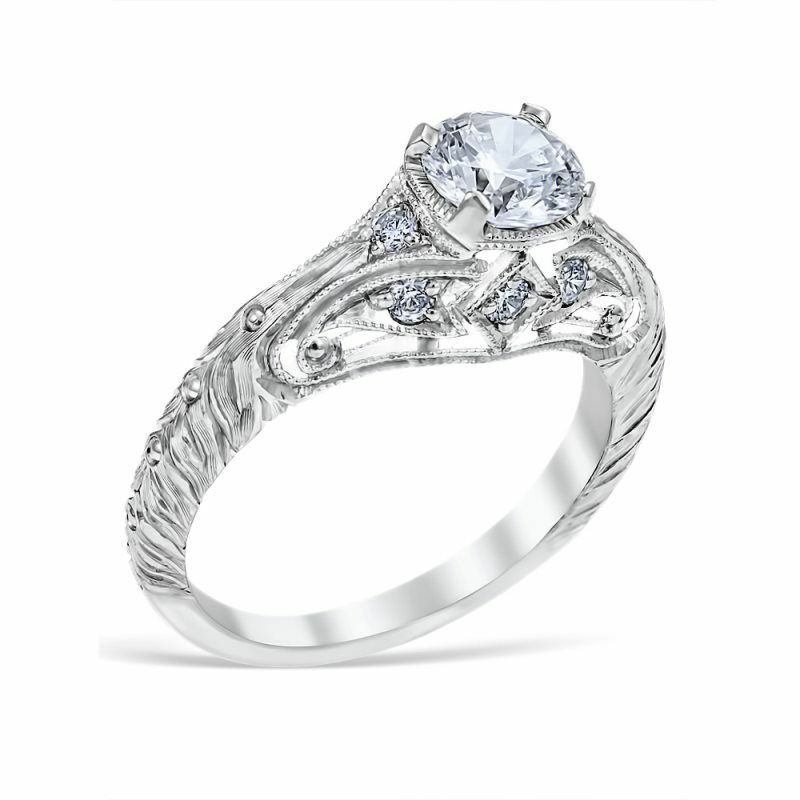 Available for Round center diamond only. 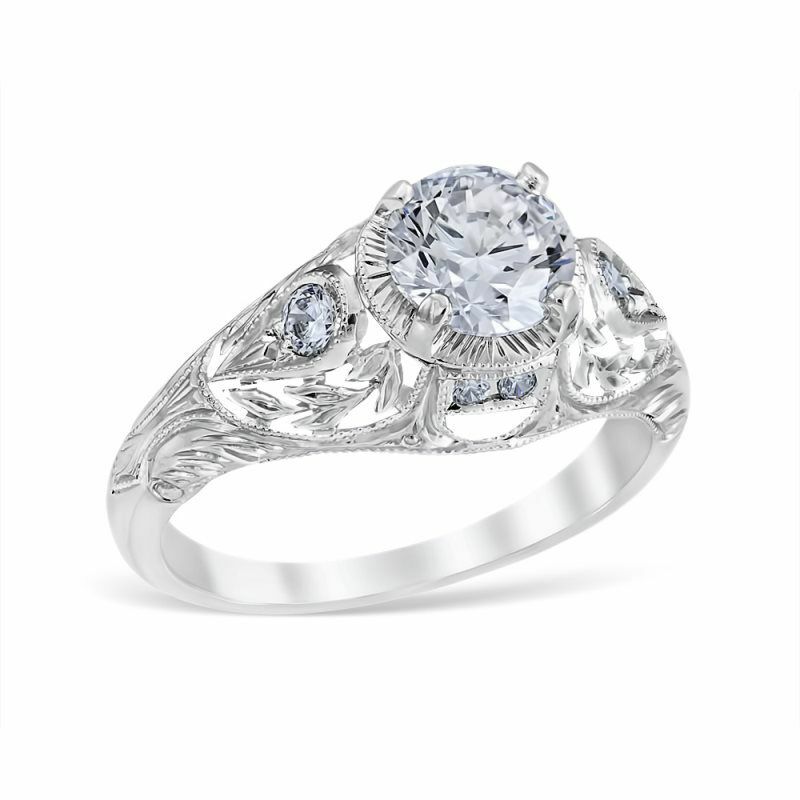 Monica engagement ring showcasing 10 bead set diamonds surrounded by scrolling pierced filigree and leaf-like plates surrounding the center diamond. 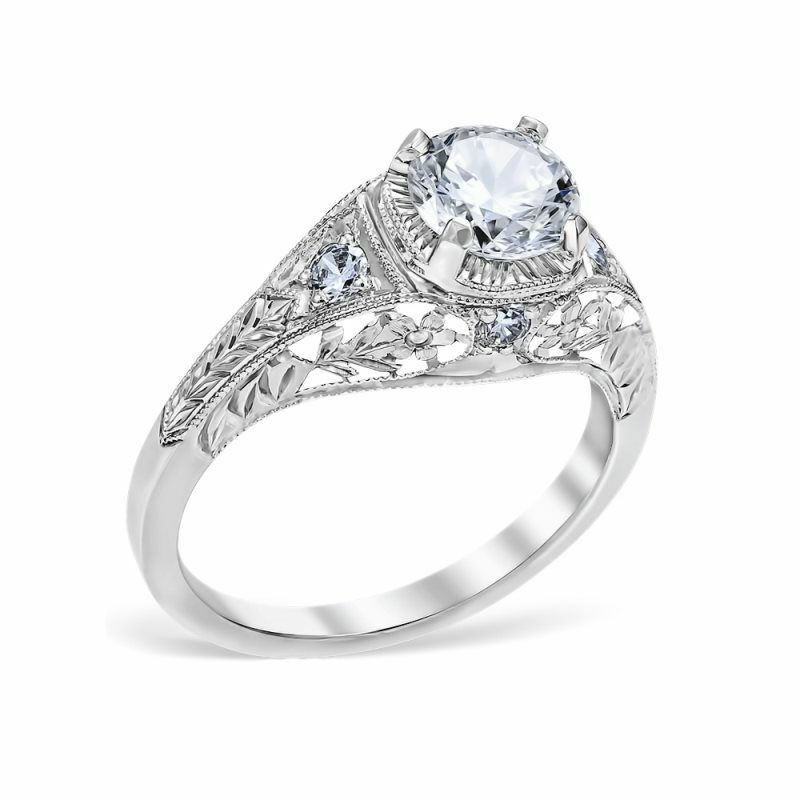 Center Diamond Carat Range: 0.50-2.00ct.